Read your books on the go without disturbing people around you with the eBook Reader LED Travel Book light! 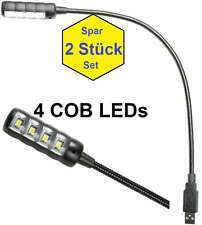 • Bright LED Light for clear visibility. 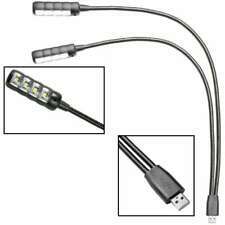 • LED attached to Adjustable Gooseneck so light goes where you want it to. LaoneConcept Shinepad est un vrai multitalent! Lampe de table LED avec interface Bluetooth et enceinte stéréo. Interface Bluetooth pour jouer la musique à partir de smartphone, tablette ou ordinateur. Sie lesen gerne nachts im Bett, reisen viel mit dem Flugzeug oder Zug Dann wird ihnen die 'nachteule' gefallen! Mit federleichten 8 Gramm und elegantem Design sitzt die 'nachteule' unauffällig auf jedem Brillenbügel. Light weight and compact LED booklight made specifically for the Amazon kindle. 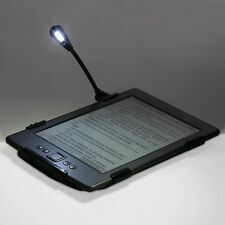 The powerful LED light features a super-bright LED light bulb which provides ample illumination for your Kindle screen. Works with Kindle 1, 2, 3, &DX, Sony Touch, Sony Pocket, Nook and Kobo. Bright, even LED light. Belkin white Book/Kindle light.requires batteries. Don't be left reading in the dark -- the M-Edge e-Luminator is now better than ever! An enhanced super-bright LED light bulb provides ample illumination for the screen of the e-reader while a mirrored reflector and optical quality lens disperses the light uniformly. Retro Tischlampe 6-armig im Detail. Details: Die Dekoleuchte hat ein Kabel in unscheinbarem Schwarz - Mit praktischem Schalter. Selbst das schönste Zuhause wird erst bei passender Beleuchtung seinen ganzen Zauber entfalten. Blink Book Light. Adjustable Flexible reading light. Ultra Slim eBook, book and multi purpose light. Low battery life indicator light (10%). Micro USB recharging cable included. Sturdy clip firmly affixes to pages. Two energy-efficient LEDs for high and low light output. Gooseneck spotlight. Lighting Features Gooseneck. Requires 120V/3W LED bulb (included). Type-Lighting Wall Lights • Light Fixtures. Number of Lights 1. A 1-year manufacturer's warranty is provided. Illuminate your Kindle screen with this compact and powerful light. The encased super-LED lamp provides countless hours of even-lit use, including multiple brightness settings. Product is case-compatible. E-Luminator Touch M-Edge Booklight. This slim and lightweight booklight works universally with all M-Edge jackets. Fully adjustable flexible steel neck allows for fine tuning light position. Support arm allows for easy storage in sewn-in jacket pocket. Clip-on light works with or without Kindle cover and stands alone. 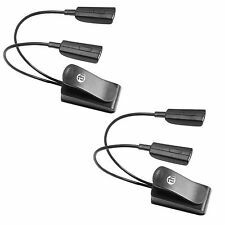 3 Super LEDs with 2 brightness settings give off a warm reading light. Lamp head tucks into the clip for easy storage and transportation. OneConcept Shinepad Bluetooth-Tischlampe mit Lautsprecher und Tablet-Halterung. LED-Tischlampe mit Lautsprecher. weiße LED-Tischlampe mit integriertem Stereo-Lautsprecher. Material: Kunststoff, Silikon, Aluminium. Gooseneck spotlight. Lighting Features Gooseneck. 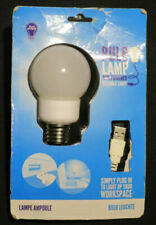 Requires 120V/3W LED bulb (included). Dark Bronze finish. Type-Lighting Wall Lights • Light Fixtures. Number of Lights 1. The XtraFlex2 has two precision engineered optical grade lenses which distribute light evenly. NOTE : This SimpleLight is only compatible with the previous entry-level Kindle, the one with the five (5) buttons below the screen, and the Next/Previous Page buttons on the left and right edges.Kindle not included. They clip on to your book. Mfg. by Scholastic. Amazon Kindle Touch. Nook Touch. Kobo Touch. Smoke free house. We are only human and on occasion with make mistakes. VINTAGE MILITARY CLIP ON Desk Reading Book LIGHT Clipboard Lamp Tin Original Black Paint Work comes With 40w light get very hot Clips work good. Does have dings and scratches 9" including the twist knob x 6"
Touch switch: 3 Level lightness: (low,middle,high), ON/OFF. WattEDGE Super Bright 4 LED Rechargeable Solar Desk Lamp, USB Book Light, Laptop Reading Light, Flexible Gooseneck Design, IP55 Waterproof Great for Outdoors or Camping | Super Bright LED Rechargeable SOLAR Reading for Work Desk Table Light Lamp, NEW ---SAVE MONEY AND GO GREEN! Power this lamp by solar energy OR a USB cable. Stop wasting electricity and help SAVE the environment! ---LOW COST AND EFFICIENT! Operates up to 3-4 HOURS after a full charge or CONTINUOUS power in sunlight or by USB. Built in ON/OFF switch to conserve the energy of the LED light until you need it most! ---BUILT WITH 4 SUPER BRIGHT LED LIGHTS! More efficient then their incandescent/halogen counterparts and emits a cool white glow. ---STOP WORRYING ABOUT BATTERIES! 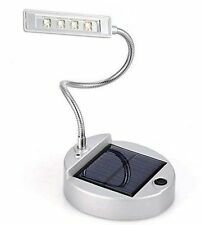 This LED desk lamp is completely RECHARGEABLE through the sun's energy or it's USB port. 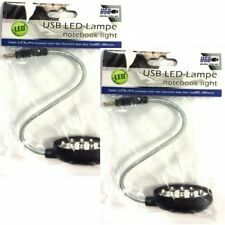 3x Dual-Arm Flexible LED Music Light USB or Battery Powered. 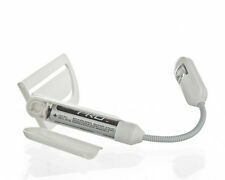 It can operate on 3x AAA batteries or plugged in using the included 40" USB power cable. Powered using 3x AAA batteries or via USB. The music light features dual LEDs on each lamp with two levels of brightness for your individual needs. Fits ALL e-readers snugly - Kindle, Nook, Kobo, Sony and more. Never used only opened to check it out. Condition is New. Need to do a little light e-reading but your screen is not bright enough?. The Verso Clip Light attaches perfectly to your e-reader or e-reader cover. It casts an even pool of LED light without any hot spots that can accelerate eye fatigue. Benötigt drei AAA - Batterien (nicht enthalten). Works with: Kindle 1, 2, 3 & DX, Sony Touch, Sony Pocket, nook, Kobo. 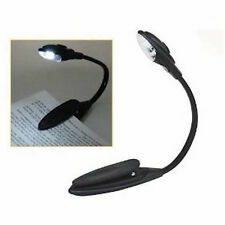 2 Dual Arms Clip on LED Lamp for Book Reading - 360-degree bendable (4 LED’s). The LEDs are super bright 360-degree bendable to fit various angles. 360-degree bendable/ adjustable with 4 LEDs, perfect for dim keyboards, music stands, pianos, orchestra pits, reading, work tables or even working with craft and arts, etc. E-LUMINATOR TOUCH E-READER BOOKLIGHT M-EDGE ~ brand new Condition is New. Shipped with USPS First Class Package. 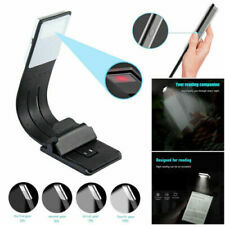 E-LUMINATOR TOUCH E-READER BOOKLIGHT M-EDGE ~ brand new. Condition is New. Shipped with USPS First Class Package. The music light features dual LEDs on each lamp with two levels of brightness for your individual needs. Great for when you're sharing your piano bench! It can operate on 3x AAA batteries or plugged in using the included 40" USB power cable. When attaching to devices such as kindles, it is advised to attach to the case rather than directly onto the device or to put a small soft cloth between the device and clip to prevent any marks or scratches. Flexible gold effect reading light for eReaders - KOBO Touch, Mini, Glo or KINDLE 4/5, Keyboard or regular books. Can be free standing or attached to a eReader case cover. (eReader case not included). The item is new in the box. The box has a little wear. Here is a Belkin eBook Light in excellent condition. There are 3 small LED lights, two brightness settings with a fully adjustable arm that can be positioned at almost any angle. The lamp head is designed to tuck into the clip for storage. Don't be left reading in the dark -- the M-Edge e-Luminator is now better than ever! An enhanced super-bright LED lightbulb provides ample illumination for the e-reader screen, while a mirrored reflector and optical quality lens disperses the light uniformly. 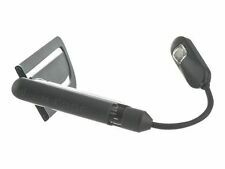 M-Edge E-Luminator Touch Clip-on E-Reader Booklight Battery Operated New Condition is New. New Verso Lightwedge Rechargeable Arc Light For E Readers 1 White 1 Black avail.